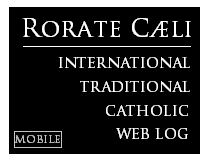 Rorate Caeli: Yours is a book in between two rivers, the Nile and the Thames. The plot takes us alternatively to contemporary Egypt and England. The literary pattern is transit, from one bank to the opposite one, and more generally from one river to the other. Behind the eventful itinerary of your main character, Clara, could the watermark (no pun intended) be the Book of Exodus, when the Chosen People leaves the Nile and the Red Sea behind, making their (tortuous) way towards the River Jordan? Evelyn Oliver: I wish London were the Promised Land! But yes, the book is about journeying from sin to grace. I didn’t intend the two rivers as a literary pattern though. I was born near one and raised near another: it must have influenced me. In retrospect however, I admit that the Nile and the Thames offer a variation on the theme of crossing. Each river is an axis along which the story takes Clara successively to a busy capital city (Cairo and London), a haven (Osly in Sudan, by a ford, and Henley-on-Thames, near a lock) and a martyr’s shrine (Alexandria and Marlow). RC: A word of presentation of your characters: Young Canadian Clara is a millennial characterised by the flaws of our post-Christian Western world (her parents are divorced; she is agnostic by default, spontaneously pro-choice and fashion-obsessed). The book follows her journey of conversion, or reversion, to the Catholic faith of her childhood after meeting in Cairo Azim, a young Muslim tourist guide. The type of Catholicism she embraces seems very traditional. Her first description of the Mass offered by the local chaplain at a nun’s convent in Cairo is clearly the extraordinary form of the Roman rite (even though Clara doesn’t know the word ‘maniple’). The priest describes himself as bi-ritual (Coptic and Latin), ‘trained at a traditional seminary in America’. She later becomes a home educator. Clara’s devotional and doctrinal formation along the story would seem alien to many Western Catholics, but deeply familiar to traditional ones. So, does Clara revert not only to Catholicism, but to its traditional trend? EO: Well, she wears no mantilla, if I recall. Apart from that, she is thrilled by the depth and consistency of a form of Catholicism very different from the one she once dropped as a teenager in Vancouver. She falls for traditional Catholicism, not only because it is new to her, but because it is articulate and beautiful. First experiencing Roman traditions in the context of a Muslim country, she finds them exotic, like muezzins and minarets. They appeal to her at a deeper level of course, simply as true. But she does not play the traditional ways against the post-Vatican II ones. As a 24-year-old tourist executive abroad, she is an average ‘user’ of Catholicism, not an expert. She is just very glad that the religion she once found dull now fulfils her existentially. RC: In the current Church crisis, do you think Catholicism is becoming at best an architectural attraction, with tourists – instead of worshippers – flocking to our cathedrals or minsters, like Club Med packages take you to the tombs of Egypt for cultural entertainment, rather than to pray for the deceased pharaohs? EO: Yes, it is grim, but there is hope. I chose Egypt as the main location for my plot because millions visit its temples for purely touristic reasons and yet, these buildings are all about religion. (Club Med isn’t bad, by the way.) Along the Nile, religion is everywhere, but as a mere memory, i.e. innocuous, by the standards of political correctness. It allows me to raise the question of faith in God without putting off agnostic readers from the start, hopefully. Many of those are in fact lapsed Catholics. My experience working with young adults and with families is that Catholicism was not rejected by the past two generations: rather, it was not tried. 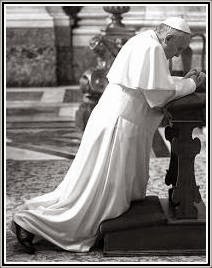 RC: Why do you think Catholicism was not tried? EO: Because it was neither integrally taught, nor consistently implemented, nor tastefully displayed. What the younger generations were sold as Catholicism was a cheap and distorted version of the true faith and liturgy. The fact they prefer football and shopping on Sunday is not surprising, because the average Sunday Masses and homilies are less entertaining. But the Church is not meant to compete at the level of games and consumption. Christ founded Her to spread grace and offer redemption. So, Clara discovers in Cairo that Holy Mass is the Sacrifice of Christ on the Cross. Around her, people die for this truth. It is tough, but it is real. She is led from short-lived fun to enduring joy. RC: What about the mysterious prelate who appears in the Epilogue, after Cairo has fallen under Islamic oppression? You introduce him as ‘a courageous missionary bishop’ called Murzello. His name vaguely echoes that of Mgr. Marcel Lefebvre, once Archbishop of Dakar. Murzello escapes after having consecrated in secret a bishop for the underground Church, restoring hope among Cairo Catholics. EO: There is a similitude with Archbishop Lefebvre, you are correct. However, one should not overestimate the importance of Bishop Murzello, plot wise, as he is given two paragraphs in the book out of four hundred and thirty-six pages. More importantly, he is sent by Rome and reports to Rome after the episcopal consecration. One wishes that things could have happened that way in no less troubled times. RC: More generally then, does you book indirectly refer to historical events in recent Church history? Could the underground Cairo Church stand for traditional Catholicism oppressed by modernist Roman leaders? This interpretation is supported by what happens to The Cedrus, Clara’s family boat (we won’t disclose more, for the sake of suspense). In fact, the very character of Clara could be seen as a figure of the Church since Vatican II. EO: Now I am in hot water! The interest of more elaborate forms of art (including painting, music and cinema) is to allow various interpretations, not necessarily in opposition with each other. The more legitimate hypotheses are the ones articulating more significant elements of the story, even unbeknownst to the author (provided they are consistent with the overall objective meaning of the book: for instance, there can be no convincing Catholic hermeneutic of Karl Marx’s Capital). Looking back, I agree that Clara fits well as an embodiment of the modern Church, in relation to Azim, then a Christ-like figure. The character of Azim could be interpreted as the traditional outlook of the Church on Christ, namely, virginal, sacrificial and hence fecund. After Azim, Clara’s conjugal relationship fails until her husband steps in Azim’s shoes, sacrificing himself for her and the Cairo Church. I would not deny that since Vatican II, Christ has been perceived as a friend and a teacher, but not essentially as the sacrificed Spouse, cleansing His Bride the Church with His own Blood, once on the Cross and daily at Holy Mass. As to the boat, The Cedrus, yes, I see it as a figure of the Church, the ark of salvation. RC: Speaking of the underground Church, several crucial events in the novel occur literally below ground level. Seven come to mind, namely: Clara’s conversion in the airport chapel, her visit to a prisoner and her confrontation with her captor in the Cairo car park, her wedding, even the reference to St Margaret Clitherow’s martyrdom ‘in the lowest part of the prison’ by the river, the delivery in hospital and finally the Mass in the ‘bunker’. How relevant is this recurrence? EO: The original title of the novel was Love Underground. I wanted to display the power of spiritual germination, of grace, against political and moral oppression. This is why I located these events below ground level. What happens underground is not meant to remain unseen, of course. God’s grace brings men’s suffering to fruition, allowing them to display over ground their sacrificial beauty, until they bear fruit of everlasting life. This process applies literally to human gestation, when the fruit of a mother’s womb reaches the light of God’s sun. RC: Does the theme of germination and gestation take us back to that of transit, which we discussed in the beginning? EO: Yes, of transit to grace and everlasting glory. Science endows our modern society with unprecedented knowledge of the human life in the womb. It seems to me that God is granting our materialistic era a visual grasp of antenatal life to help us believe in everlasting life. In other words, we adults know that the gestation process naturally leads to birth and to a fuller life outside the womb. We should then be able to transpose and admit that our time on earth is a valuable preparation to eternity with God – if grace is not aborted in our souls. For Clara, this parallel between the developments of life natural and supernatural becomes more and more compelling and enlightening. Ultimately, the theme of germination is fulfilled in Christ’s Resurrection. The novel hints at it through the name of the new Christian federation of states, the Anastasis (the Greek word for resurrection), with its meaningful flag. Also, I named the main child character in the story Talitha, in reference to the miracle of the raising of Jairus’ daughter by Our Lord. Talitha is somehow an embodiment of Clara’s soul in her transit to grace. Talitha is a ‘real’ little girl though. She is endearing to all and I like her very much, I must say. RC: From what you said, the theme of transit is part and parcel of your novel. It justifies considering more in details the pattern of water-crossing first discussed. The pace of the narrative is that of to-and-fros between the Nile and the Thames. But the general structure of the novel could be seen as amplifying this. One could consider the long flashback of Part One, Two and Three as the river of ‘time flown’, while your Prologue and Epilogue figure its two banks. The book begins and ends over the Nile: first above it onboard a plane, then on a hovercraft. Furthermore, Part One begins in Paris airport, during a stopover in Europe between Egypt and America, that is, between the Mediterranean and the Atlantic. In Cairo, much takes place on The Cedrus moored on the Nile, while in England, most time is spent on the island amidst the Thames in Henley. Incidentally, these two rivers connect, not only in your plot, but also in geography. Did you notice that drawing a straight line downstream from both capital cities, Cairo and London, brings one to Kiev, whence Clara just took off before the story begins in Cairo? Drawing a third line between Cairo and London reveals an isosceles right triangle. EO: This was not intended, even though it fits nicely. Most Renaissance painters and architects used geometry to convey meaning through symmetry. Some Nativity paintings point at the forthcoming Crucifixion through wood beams included perpendicularly in the composition. They look irrelevant until the eye connects them as dots for the Cross looming ahead. I am not sure how literally this applies to novels, but it is pleasant to consider. In the story, Kiev is where the Anastasis, the new Christian federation of free states, is located. Nothing more is said about this nearly invisible hinge of the story. RC: Discreet literary references are spread along the text. The name of Shakespeare appears of course, but also those of Mishima, Rilke, Livy, Wilde, St Athanasius and, at the beginning and at the end, the two Therese’s – of Lisieux and of Avila. One also comes across varied musical references. Clara’s nearly first words after landing in post-apocalyptic Cairo are: ‘When was Mozart last played on this planet, I wonder?’ Schubert plays a role in the plot while Purcell, Machaut, Stravinsky and Puccini are hinted at, and the Beatles mentioned. There is a quote from Mahler and from Richard Strauss’ Four Last Songs, and even, more surprisingly, from The Hanging Tree, Katniss’ revolutionary song in The Hunger Games film. But all those are mere allusions, while you only really dwell on Tallis’ Spem in Alium. What role does that piece of music play in the novel? EO: It is at a funeral that Clara first hears that 40-part Renaissance motet composed by Thomas Tallis. On reflection, she realises that Spem in Alium is a transposition in sounds of the communion of saints interacting in God’s love, and finally of the Church. In 2015, while researching Spem in Alium online for a paper, I was shocked to find out that this sublime religious music had been hijacked by the infamous Fifty Shades of Grey film. The children of darkness steal our riches! But do we Catholics make good use of our own treasures? When was Spem in Alium last sung for a Catholic liturgy, I wonder? Clara’s cultural knowledge is average. I didn’t want her to sound like an expert. She simply recognises beauty when she encounters it, as we all should. She is fulfilled with the traditional Latin Mass, the most beautiful thing this side of heaven. 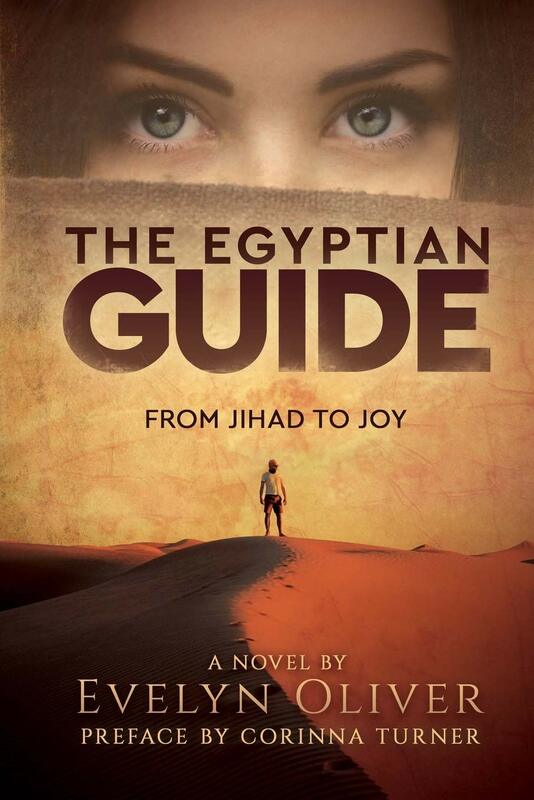 The Egyptian Guide: From Jihad to Joy is published by Regina Press, available on Amazon and from Gracewing.